The Flos Arco is the ultimate cult object – a design icon from the assortment of the renowned Italian light manufacturer Flos that inspires more than one generation. The striking floor lamp, a 2.40 m high combination of noble Carrara marble and stainless steel, overtops tables and adds a majestic touch to the living area with its imposing but always elegantly unobtrusive look. 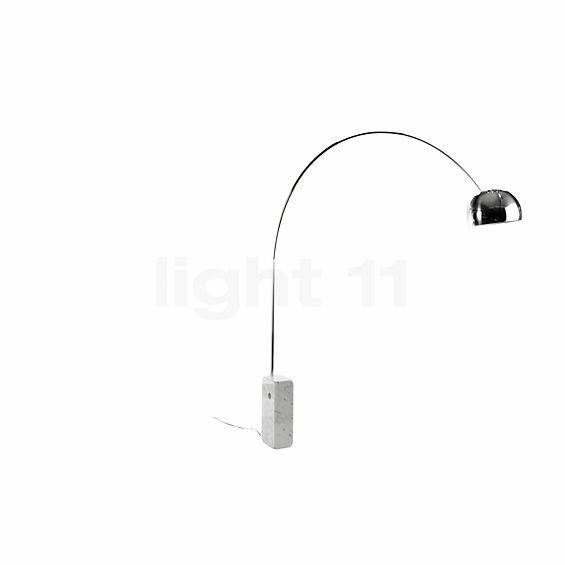 Designed by Achille Castiglioni in 1962, the Arco was the first arc lamp ever. 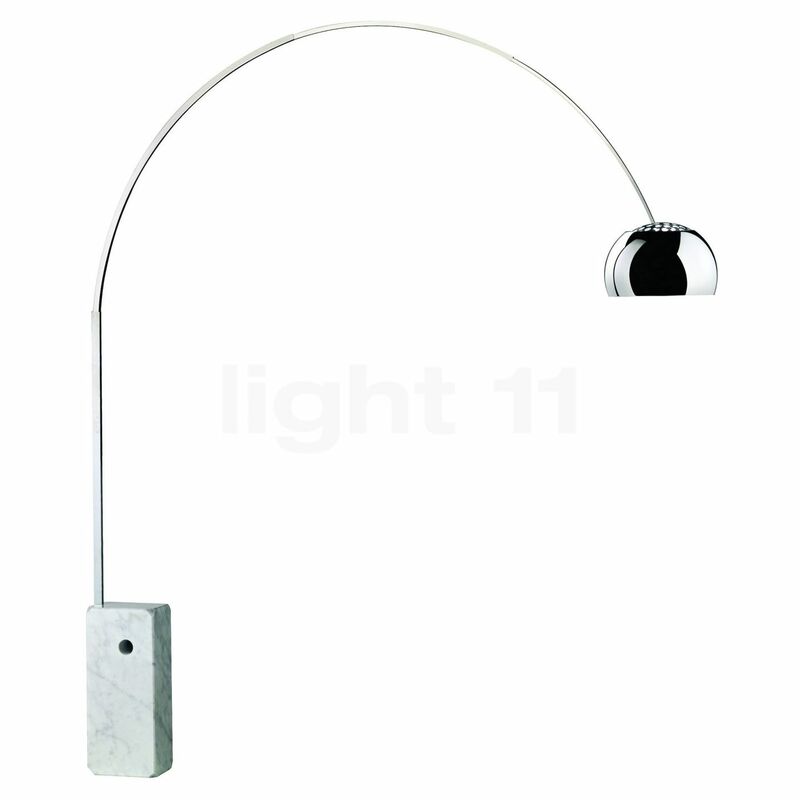 Since then, its design was hardly changed: the high-quality base of the Arco made of Carrara marble weighs about 65 kg but since it is provided with a continuous bore hole, this floor lamp can be easily moved by two persons with the aid of a suitable bar that is inserted into this hole. The wide-reaching light arm made of stainless steel holds a light head made of high-quality aluminium. Since 1972, this floor lamp has been an integral part of the permanent exhibition of the MoMA in New York. The Flos Arco is a piece by Achille Castiglioni from 1962. 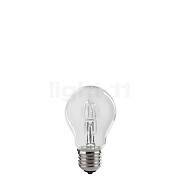 For an additional alignment of the light, the reflection on the light head may also be adjustment. The height and the alignment of the light head of the Arco can be easily adjusted to suit one's personal requirements. The base of the Arco is a solid marble block provided with a bore which allows for easy transport by means of a broom handle. The length and the height of the outreach of the Flos Arco can be easily modified. 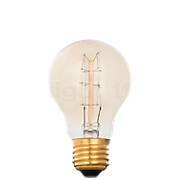 Additionally, the reflector of the light head can also be adjusted so that this timeless floor lamp can be used to effectively illuminate individual elements of the room. 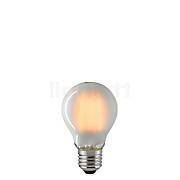 The Arco by Flos is supplied including a light bulb. 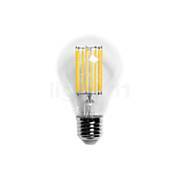 The halogen light bulb included in the scope of supply ensures a brilliant colour rendering. 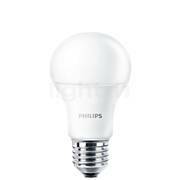 However, those who would like to rather save energy may also equip this floor lamp with LED retrofit lamps. Arco is not only a iconic design piece but a great lamp to have over a big dining table. My dining table is 240cm long and Arco is just perfect lamp to have over the table. It goes high enough, so that it doesn't bother any one sitting around the table and gives enough of light for the whole table. As I didn't have a place for pendant lamp over the table, this was the perfect choice. Classic piece of design that is there to stay, the metal and white marble elements goes well with dark toned backgrounds like my living room and brings a touch of style to large spaces. Every feature has been thought over and made to perfection down to the hole in the marble so that you and a friend can carry it safely and evenly by putting a broomstick through it. Genius! Tell other customers and us about your experiences with the Arco ! The light emitted by the Flos Arco ensures a particularly pleasant ambience within the room. The large arc lamp not only effectively illuminates a dining table or a coffee table. This floor lamp may also be used as a reading light next to an armchair or a sofa where it ensures a relaxing time while reading. Moreover, the Arco from Flos serves as an impressive decorative element in representative rooms such as the entrance area.